You don’t need to do all the heavy lifting when it comes to finding out if certain foods are okay to eat. In the past a diabetic would need to know everything about the food they bought and that included processed food, which was tough because every packet of food is different. 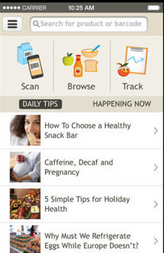 Now you can scan the bar code with your phone and the Fooducate app will tell you if your food is safe to eat. You’ll save a lot of time that can be better spent doing other things. What will you do once the doctor breaks the bad news? You can’t just talk to the doctor about your condition because you need more than the advice of one person. 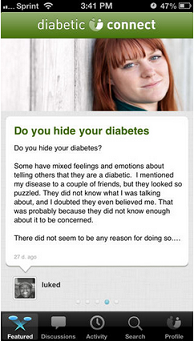 Diabetic Connect will let you talk to thousands of people who are going through the same things as you. A lot of them will have been there before and they’ll be able to answer any questions you might have. If you’re lucky you might even make a few new friends you can message any time you want. When you’re dealing with complicated things like glucose numbers, carbohydrate consumption, and insulin dosages it can start to get a little hard to process everything, especially if you’re not a logical thinker. 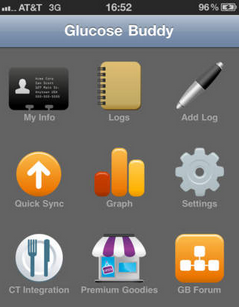 If everything was easily readable in graph form you would understand it much easier, so you might want to use Glucose Buddy. You’ll be able to type all your numbers into the app and it will compile everything together and make everything easy to read. 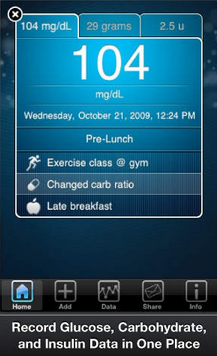 You might be shocked because Diabetes Pilot is a little more expensive than your average app, but it’s powerful and you won’t regret spending the money if it’s available to you. 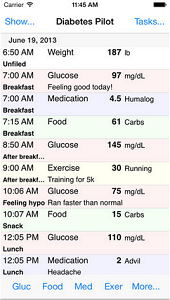 You can keep track of all your medication and test results. It will even work out how much insulin you should be taking and when you should be taking it. There is also an extensive food library where you can check the sugar, fat, and salt content of anything you plan on eating. This will help record your blood sugar readings, but it’s got a little more power under the hood. It’s full of educational videos that will teach you lots of things about your condition. Once you learn how to have more control over your lifestyle and diet you’ll be able to manage your diabetes a lot better. You might want certain people to know your results and you can send them the information directly from the app. Your readings can also be sent straight to your doctor so they can stay on top of everything too. When you’ve got diabetes it’s always on your mind and it plays a huge part in your life. At least these apps will give you a little more time to yourself which you thoroughly deserve. If you use them to keep on top of everything you’ll go on to do great things, so don’t try to do everything on your own. Jennie Peters, the author of this article, is an employee at Freedom Lift Systems, installers of residential wheelchair lift for the underprivileged. Whenever Jennie gets time, she volunteers at the local homeless shelter on weekends. Great tips to follow. Diabetes is nowadays is dangerous diseases that present everywhere in the world. We need to be more careful towards our health and choices. Thanks for the information.